Your body is a machine, and to keep that machine running like it should, you need to feed it good things. Cafe at Pharr makes it super easy to do just that. This mom and pop shop has happily served health conscious Atlanta area customers for the past two decades. From rice plates and soups to salads and sandwiches, you are guaranteed to find something that will make you completely forget you&apos;re eating healthy. 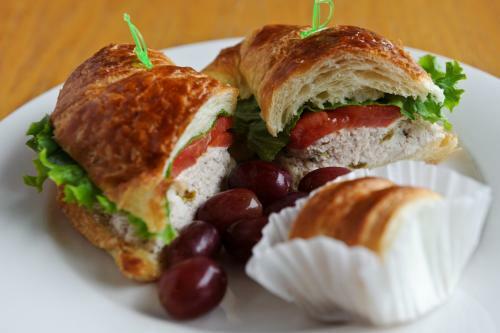 Join the rest of the crowd in ordering the wildly popular (for 10 years) walnut chicken salad sandwich, which conveniently comes with a yogurt roll - their other signature menu item. The yogurt roll is a pastry roll filled with a yummy yogurt concoction, and it is the tastiest guilt-free dessert you will ever become addicted to. We firmly believe that working out should be fun. That&apos;s why Dunwoody has tons of fitness options and tons of people who take advantage of them. Play tennis at Windwood Hollow Park. 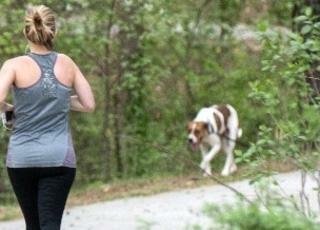 Run, jog, or bike on the multi-purpose trails at Brook Run. Take a hike at the Dunwoody Nature Center. 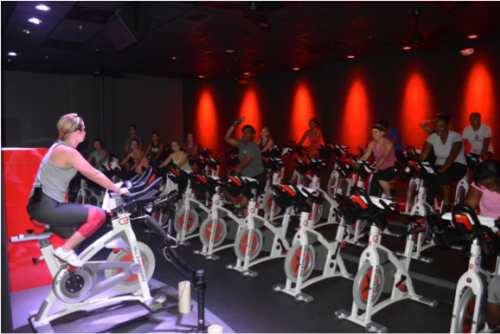 On a rainy day, take a ride on the fun side at CycleBar. Each ride is fueled with amazing music, energy-enhancing video graphics, and rider-specific performance data in their state-of-the-art CycleTheatre. Sign up for a class and have fun while breaking a sweat. Richard Simmons would be so proud. Alternatively, you could dare to be different and work on building up your strength and stamina at the UFC Gym. They offer classes for all ages in a wide variety of techniques like Brazilian Jiu-Jitsu, kickboxing, mixed martial arts, and more. For a high impact total body workout, stop in for a class at Pure Barre. Like so many of the other things to do here in Dunwoody, there is truly something for everyone to enjoy. Just find the perfect fitness regiment for you and get moving! Post-workout treatment is just as important as the workout itself. Nurse any sore muscles (or simply treat yourself for good measure) to a soothing massage at Woodhouse Day Spa. Their menu of services includes stone, balancing yoga, deep tissue, Swedish, back, neck, and shoulder, pre-natal, and gentlemen&apos;s massages. Take special note of their signature Woodhouse Four-Handed Massage. 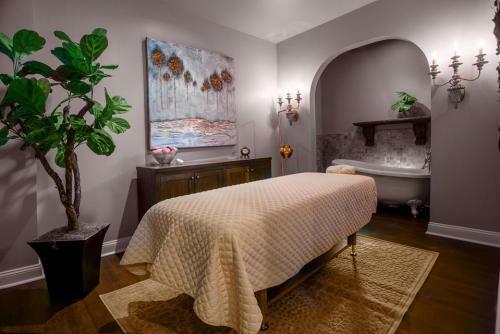 Two therapists perform choreographed, rhythmic moments while giving a full body massage, reflexology, and a hypnotic scalp massage. Yes, you may go ahead and book the appointment. And yes, you still need to workout beforehand. Cheaters never prosper! Nothing makes you feel like a better human being than helping another one in need. Dunwoody is the proud home of The Packaged Good, an innovative charitable concept founded by single mom Sally Mundell. The Packaged Good is a place where connection, convenience, and consciousness are all packaged together to create an engaging and healing experience for families while helping those who need it most. 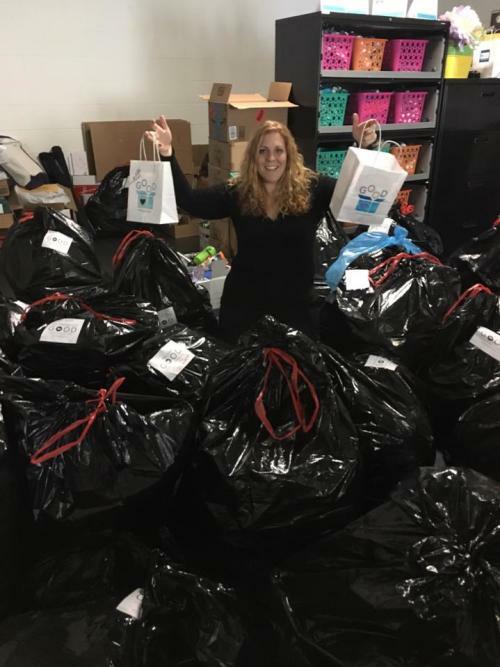 Seeking to instill the desire to give back in children especially, TPG provides a fun, inspirational atmosphere where kids and community groups can decorate and personalize care packages for those in need. Volunteers can swing by during designated drop-in hours, or they can set up an appointment to come with a group. Yes, giving back is really THAT easy. The Packaged Good partners with charities within their four causes - armed forces, the elderly, the homeless, and children. This way volunteers can select whatever charities resonate most within their heart and not worry about the logistics. Thanks to donations, everything you need to create and stock your package is already conveniently provided. All you have to do is show up with a giving heart. A little clean eating, health and wellness, and community service can go a long way. By turning these simple suggestions into habits, you will be well on your way to looking better, feeling better, and overall being better. Stay on track by recording your progress. Whether it&apos;s having a healthy lunch, or beasting it out at the gym, we&apos;ll cheer you on if you share it with us! Make 2018 your year. All it takes is going above and beyond.